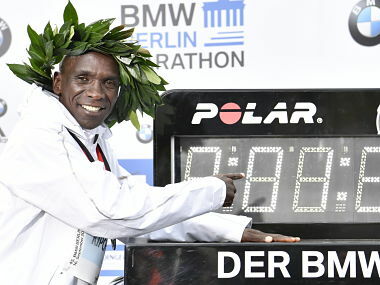 Eliud Kipchoge aided by a string of pacemakers through to 25km of the 42.195km race, took 1min 18sec off the previous best set four years ago by Dennis Kimetto. 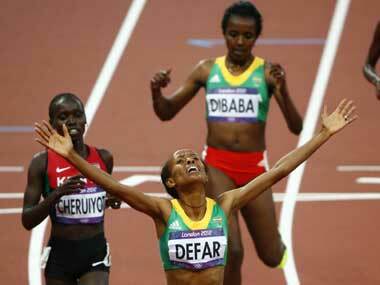 Ethiopian Meseret Defar dashed compatriot Tirunesh Dibaba's dreams of another long-distance double by regaining her 5,000 metres title and an inspired US women's 4x100 relay team shredded a 27-year-old world record on Friday. 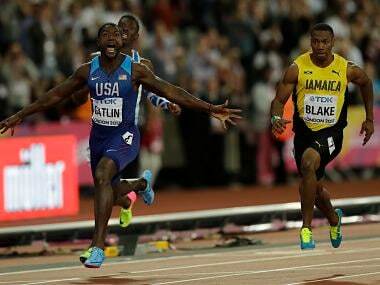 Tirunesh Dibaba can match Bolt's historic "double-double" today, when gold in the women's 5,000m would mean she had won both the longest track races at successive Olympics. 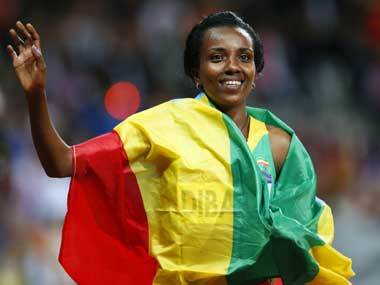 The Ethiopian retained her 10,000m crown a week ago.